College isn’t the right path for everyone. It wasn’t for me. I gained a lot of my education through self-education and pushing myself to learn just in time. You can as well. Yet you might struggle to know where to go to learn. What works and what doesn’t when it comes to self-education? These are the educational resources that worked for me and helped me to grow my leadership abilities through self-education. Lynda.com/LinkedIn Learning: Lynda.com was recently acquired by LinkedIn. However, not a lot changed in the transition. Lynda.com is still a great place to hone or brush up your skills. They offer a wide variety of courses on topics such as: Social Media Marketing, Business Skills, Data Analysis, Online Marketing, and more. Let Lynda.com be your first stop for your continued education. Youtube.com: This may seem like an odd place to continue your education but YouTube offers a fantastic number of choices when it comes to learning. You can view training and informational videos from world-class leaders all without leaving the comfort of your home. I would suggest checking out some Simon Sinek videos or videos from John Maxwell. Leadership conferences: Something special happens when you gather hundreds and thousands of leaders together. You have the chance to rub shoulders with people just like you. They’re there to learn and network. Why not go there and learn? My top conference choices are the Catalyst Conference in Atlanta, GA and the LeaderCast conference that is simulcast around the world. Local workshops/training seminars: You might be surprised at the resources in your backyard. I always am. Whenever I look for leadership training in my area, it’s amazing to see all of the events happening. You might find a Dale Carnegie course or a local leadership expert like Rich Lohman who is teaching a local class. Don’t miss out on these kinds of opportunities to learn. Books, books, books: Our access to the world of books has never been more freely available. The invention of the Gutenberg printing press allowed books to become available to the common person. Newer technology allows you to carry multiple books on your portable devices such as your cell phone or tablet. If you’re interested in what books to start with, check out my reading list. Other leaders: Do you know of any other leaders in your area? You probably do. 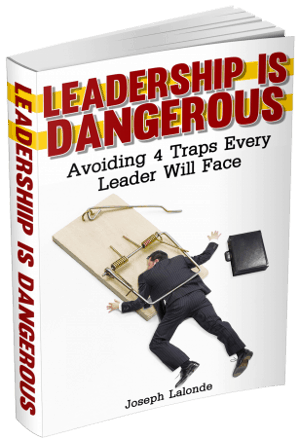 You need to be rubbing shoulders with these leaders. They’ve been places you haven’t. And you’ve been places they want to go. Make this a mutually beneficial relationship and help each other grow. Question: Where else would you recommend a leader look to grow outside of the classroom? Share your thoughts in the comment section below.